Internationally celebrated poet, editor, translator, and anthologist Jerome Rothenberg will share his experiences at Illinois State University on April 11. The author of more than 90 books of poetry and essays, and the recipient of numerous grants and awards including from the Guggenheim Foundation, the National Endowment for the Arts, and three National Book Awards, Rothenberg will speak at two events hosted by the Publications Unit as part of the PUB.UNIT Presents event series. At 11 a.m. he will speak at the University Galleries, 11 Uptown Circle, Normal, as part of an interview, conversation, and Q&A with Steve Halle, director of the Publications Unit, and Amish Trivedi, Ph.D. candidate and author of two books of poetry. In the evening, Rothenberg will be a featured reader at the annual SRPR (Spoon River Poetry Review) Lucia Getsi Reading Series at 7 p.m. at Ewing Manor, 48 Sunset Road, Bloomington, where he will be joined by Mark Svenvold and Kristin Prevallet. Both events are free and open to the public. 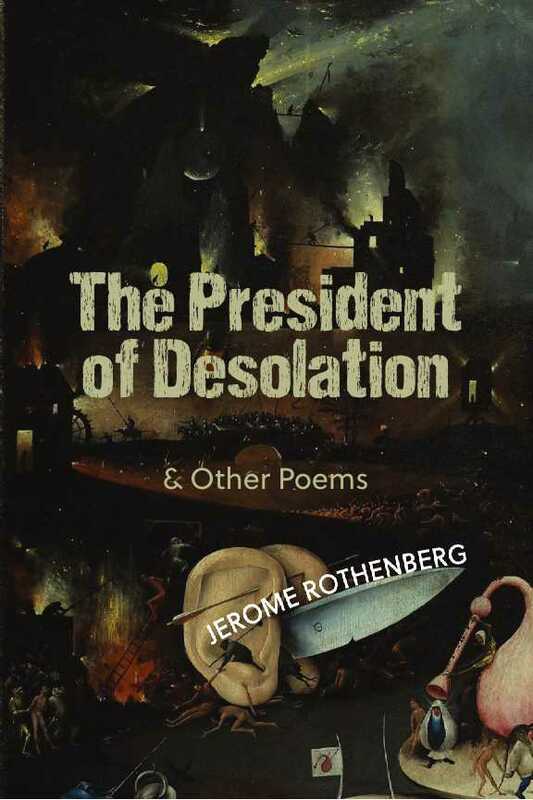 “Jerome Rothenberg is a DNA spaceman exploring the mammal caves of Now,” poet Michael McClure says of Rothenberg’s latest collection The President of Desolation. With over 60 years of experience, Rothenberg has been on every side of the field of English: inside and outside the academy, publisher, editor, writer, reader, and performer. He has co-founded a press and multiple magazines, and he is also a founding figure of ethnopoetics—a term he coined—that seeks to perpetuate fading oral and written legacies of the world and render them relevant and necessary to modern literature. Beyond his writing, editing, and publishing career, Rothenberg has taught at a variety of institutions including City College of New York; the State University of New York, Binghamton; and the University of California, San Diego, where he spent most of his teaching career and where he is an emeritus professor of visual arts and literature. Currently, Milner Library has eight Jerome Rothenberg holdings in Special Collections. His work is known for experimentation with syntax, image, and form. He is also known for his explorations including sound, found, visual, collaborative, and primitive and archaic poetries. 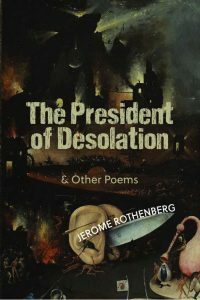 A new book of poems, The President of Desolation, was published this year by Black Widow Press, about which poet Michael McClure says “Jerome Rothenberg is a DNA spaceman exploring the mammal caves of Now,” and he is currently assembling a large transnational anthology of North and South American poetry. This event is a collaboration with SRPR (Spoon River Poetry Review) and is co-sponsored by the Harold K. Sage Foundation, the Illinois State University Foundation Fund, and the Publications Unit in the Department of English. For additional information, contact Assistant Director of the Publications Unit Holms Troelstrup at jhtroel@ilstu.edu or (309) 438-3025.